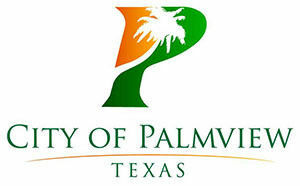 PALMVIEW — The city’s crime victims program was reinstated by the Attorney General’s office last week after it was suspended in May pending a review. On Thursday, the city got all clear from the attorney general’s office after it conducted a desk review of the crime victims liaison program. “There were some reporting irregularities, and questions that needed to be straightened out,” said interim City Manager Leo Olivares. The program had just been launched this fiscal year and police department didn’t fully understand it said Sgt. Arnold Sepulveda with the Palmview Police Department, so after the AG’s office placed a hold on it, the city requested a desk review. During the review, the AG’s office found miscommunication among the previous administration that handled the program regarding what could or couldn’t be charged to the grant that funds the program, Sepulveda said. “So we clarified all of those little details and we put the systems that needed to be in place, in place and we verified that they were in place and we were reinstated last week,” he said. When the program was suspended, city officials believed it was because funds from the program had been erringly deposited into the federal asset forfeiture account. While some funds were deposited into the asset forfeiture account which raised a red flag, that wasn’t the reason for the suspension, Sepulveda said. However, mistakenly depositing funds into the wrong account has caused an ongoing problem for the city. A preliminary audit conducted by Finance Director Rachel Chapa found the federal asset forfeiture funds were being mixed with other funds. In addition to the funds from the crime victim liaison program, funds from Chapter 59 state forfeiture funds, and local funds were deposited into the federal asset forfeiture program account. Other federal funds such as Stone Garden grant funds and Border Star grant funds were also being deposited into the forfeiture account. Those deficiencies led to the forfeiture account’s suspension by the U.S. Department of Justice in April after the city notified they were conducting an audit. Olivares said a representative with the U.S. Treasury Department, which is working with the DOJ, made a site visit a few weeks ago. “We’ve been working with them, we’re cooperating with them,” Olivares said, adding he expects it will be another two to three months before the city receives the official findings.